A dog getting chiropractic treatment. When we think about chiropractic care for dogs we get a mental picture of a practitioner standing over a beloved canine and manipulating joints with twisting, pushing, or pulsing motions to reduce a phenomena and they experience in the musculoskeletal system of the dog. Virtually every veterinarians on the planet knows what chiropractic is. To them, chiropractic is the manual forcing of a bone or a joint back into joint with a resounding crack. This is not chiropractic nor is it what is done when a chiropractic adjustment is made on a dog, cat, horse, or human being for that matter. Currently there over 135 different methods of human chiropractic care that are formally recognized in the industry that is been around for over 120 years. All of them, rely on the reduction of what is called the “vertebral subluxation complex” which is in fact, a neurological interference that occurs in the spinal cord of the mammal. That is not what a subluxation is an chiropractic care, and the vertebral subluxation complex is actually a phenomena and that may or may not have bony changes associated with it, may or may not have radiographic changes associated with it, may or may not have range of motion conditions associated with it, but more often than not (60% of the time) has none of these but rather exists in the nerves of the spinal cord. What dog chiropractic is, and what it is not? Except for the Veterinarians I have trained, my veterinary colleagues unfortunately think that chiropractic care involves a rather forceful pushing of bones back into joint with a resounding crack and they’re not sure they want their pets or dogs in their care exposed to that amount of force in that it may harm them further. I agree, but that is not what dog chiropractic is. There are several dozen means of reducing the vertebral subluxation complex (neural interference) in the spine of these animals. The most common technique that one thinks of is gentle manual motioning of the joint to reset the nerves of the spinal cord. A more direct, safe, fast, and effective means of reducing these neural interferences as a technology that is delivered with a spinal accelerometer (Veterinary Orthopedic Manipulation or VOM), which is also therapeutic and at the same time diagnostic for all subluxations. Chiropractic adjustment of a dog. 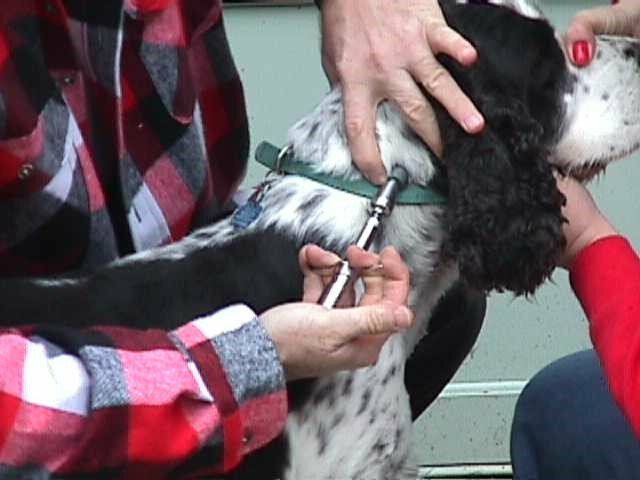 The VOM technique is just faster, safer, more effective, and safer way of treating these interferences in the canine than all the other technologies put together. That is in fact experienced by the fact that we have trained in excess of 8300 graduate doctors (about 50-50 veterinarians and chiropractors) for the last 20 years. You can find a list of these practitioners if you go to the website; https://vomtech.com, and click on the link that says “find a practitioner near you“. That’s not to say that manual adjusters with other techniques cannot be successful in animal chiropractic. I have nothing but admiration for somebody who would take the time and has the patience to learn how to manually adjust dogs with techniques that are borrowed from human chiropractic methods. Unfortunately, not all dogs will cooperate. If you’re trying to adjust an eight-month-old Rottweiler who has a hurt back and he’s not having a good day, your chances of getting him to relax, lie down and allow a “lumbar roll” is less than zero. Animal chiropractic, and particularly dog chiropractic did not take off in the field of veterinary care until we were able to deliver a technology that would work every time, all the time, get every subluxation complex, and be able to be delivered whether the animal wants to cooperate or not. That is why we use a handheld device to deliver the energy to reset the nerve which we call a “dual tool, or a spinal accelerometer. It delivers an ultra fast high amount of force with a tiny amount of motion so the animal cannot be injured with the device whatsoever. “To date no animal has ever been found to have been injured with the use of a spinal accelerometer.” Unfortunately, animals treated with manual adjusting techniques who had an acute spinal injury and who would proceed to paresis and paralysis would blame the last doctor that touched them (in this case the chiropractor doing a manual technique) as the agent that made the animal worse when that case was going to get worse anyway, which has given animal chiropractic a bad name to some degree over the last two decades. This is not fair to manual Chiropractors who work on dogs or horses. Anything about animal adjusting using an instrument such as in a spinal accelerometer is that it not only is able to adjust every animal at every neuronal interference all the time every time, with the animal cooperates or not, but it’s also a diagnostic tool so we can find all of the neurological interferences (vertebral subluxation complexes) and reduce them, and know they’re being reduced in a series of adjustments that reprograms normal in the animals spine to get a solution as opposed to a temporary fix. Now, if you stayed awake during the above paragraphs you should read on to find some further data that will be particularly interesting. The world’s best animal palpater in the canine will palpate for joints the do not move correctly. In my experience of training over 8300 doctors (half of which are veterinarians), very seldom is a veterinarian able to perceive a compromised joint function as well as even a third year chiropractic student. However, even the very best motion palpaters (chiropractors who will adjust dogs based on compromise range of motion to use that as a means to determine where subluxation is) will only be able to find 40% of the total subluxation complexes in any dog spine. The goal of a chiropractic adjustment is to find and reduce all vertebral subluxation complexes in the animals spine all the time every time. It is also important to note that they’ve all been reduced all the time every time. The reason that we use a spinal accelerometer is it allows us to easily evaluate where each vertebral subluxation complex is in the spinal cord and to evaluate in subsequent passes if that neuronal interference has been reduced. It’s about as difficult as the game you played when you were a kid by stacking of dominoes and then rolling down the stack one right after the other. Another interesting piece of data is that 60% of all the animals coming into a veterinarian’s office (that is not there for routine vaccinations and/or spay and/or neuter) is there because of the malady held in place by vertebral subluxation complex. It would seem then, that addressing this problem would be particularly beneficial for disease processes in the canine and that is in fact exactly correct. Unfortunately, while the chiropractic industry in the United States recognizes the vertebral subluxation complex as that which holds in place all kinds of maladies for the human spine, in veterinary medicine the vertebral subluxation complex phenomena and is not recognized as though it does not exist. 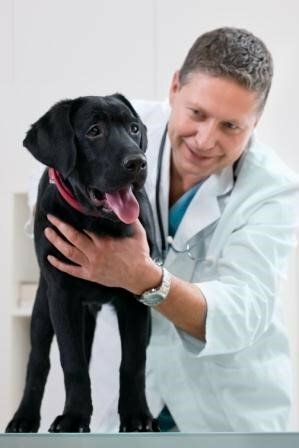 Therefore it is not treated or considered as a possible therapy for your dog which invariably leaves you and the veterinary practitioner to resorting to medicines, surgery, physical therapies, or euthanasia. This is not okay. 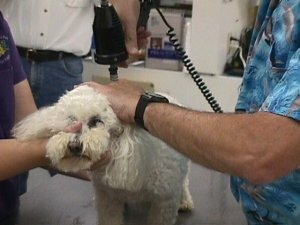 For over 35 years myself and over 8300 graduate doctors have been successfully treating disease conditions that are being treated incompletely, being treated ineffectively, being treated partially, or not being treated at all, in animals left to suffer or are put down because of lack of successful medical solution. My background is in veterinary surgery in neurology. So for over 35 years when we would see a dog that blows their anterior cruciate ligament out, our next step is to schedule surgery. The surgeries are always successful. Unfortunately 60-80% of animals who have a successful cruciate surgery on one leg, invariably will blow out the other leg before a calendar year is up and have to have surgery on that leg. It was thought that they favored the leg that had been operated on and the other leg van broke down to increased stress. Not true! This does not make sense because these animals are usually walking and running within two weeks do not favor that leg at all after a successful surgery. This means that there must be something else that holds a problem in place that allows the weak leg to break down and once it’s repaired then allows the other leg to break down. When evaluating dogs that have blown their anterior cruciate ligament or will blow their anterior Christian ligament, we find they all have a pathological “reads” at the area of the fourth and fifth lumbar vertebra. Animals who had successfully been treated with surgery for their blood anterior cruciate ligament are found to still have a pathological “read” at the L4-5 level of their spine indicating that neuronal interference is still in play and has not been repaired by the knee surgery and will then ultimately affect the other leg. It is also interesting to note that the neurology of the nerve that comes out of the spinal cord at the L4-5 level (the genito-femoral nerve) for his impulses to the quadriceps mechanism which extends the knee. The L4-5 vertebral subluxation complex that we see in every knee case unbalanced is the quadriceps mechanism and internally rotates the knee putting more stress on the anterior cruciate ligament. It’s only a matter of time before that and he blows out. If this were true, then animals that blowout their anterior cruciate ligament could be treated after surgery, finding the L 4-5 vertebral subluxation complex in reducing it to normal and prevent the other leg from blowing out in the future which is exactly what we see. The frequency of recurrence on the contra-lateral leg after surgery and with the VOM technology added post-op is less than 2%! Now if you’re following me, you probably already deduced that if an animal is going to blow out their anterior cruciate ligament because of their size, shape, breed predisposition, or they have a partially torn anterior cruciate ligament that doesn’t quite need surgery yet, that we could apply this technology and avoid surgery. That is most assuredly correct. There are hundreds of conditions that we’ve mapped out being held in place by the vertebral subluxation complex. 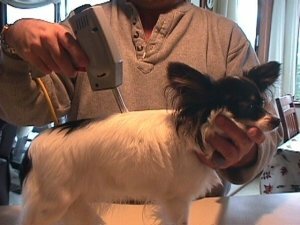 Applying chiropractic adjustment and optimizing and repairing all of the spinal cord of the domestic canine has been a quick easy, safe and effective way of treating those conditions. (Please see the disease conditions we routinely treat listed on the website; https://vomtech.com). Conditions involving paralysis, paresis, incontinence, autoimmune disease, gastrointestinal illness, dietary allergy, compromise performance, lack of focus, behavior problems, and many others, have been successfully treated with this therapy. Some, of course, work more effectively than others however almost all of them respond favorably to this type of therapy. VOM has a 91-93% success rate. Dr. Inman adjusting a dog. Also reduction of the vertebral subluxation complex neurologically shuts down the “pain gate” and is an effective means of treating an animal in pain and discomfort. It is more effective in most cases than treating the animal with narcotic analgesics and non-steroidal anti-inflammatories. At no time did we recommend the complete disengagement with classic allopathic care such as medicines and surgeries, particularly for the cutely injured dog. Virtually all of our animal chiropractic technologies can in some cases standalone to other therapies and also can very positively adjunct other classic modalities for treating various disease conditions. As a clinical practitioner of 38 years experience, has been trained as a surgeon, neurologist, and classic allopathic practitioner using virtually every lotion, potion, prescription and my pharmacy to solve problems, the success in application of animal adjusting technology in this field is so overwhelming that I look back sadly at the way I used to practice and cannot bear to limit myself to that success level again. Conversely the over 8300 doctors I’ve trained in this technology also cannot go back to practicing “the old-fashioned way”. For more information on the VOM technology and other animal chiropractic methods please see the website: https://vomtech.com) and also search the YouTube videos for various disease conditions that are explained, and the treatment explained on YouTube videos authored by myself and catalogued on the above website.